Sachiyo Ito and company is pleased to offer programs with Japanese themes for corporate and private functions. Also, the Company is available for social programs for your neighborhood community, or civic organization. A full concert with live music of Koto and Shakuhachi is available. For more information about our programs including information about scheduling, please go to our “Contact Us” section and send us a message. 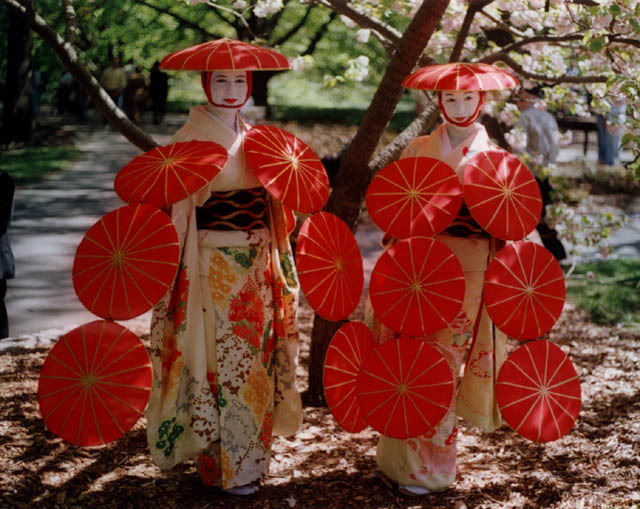 To help students understand the culture of Japan through its traditional dance forms. Based on a belief that art, particularly dance, is a form of communication among people that leads to a better understanding about the feelings and cultures of others, students are taught steps and movements of Japanese dance and selected numbers of Kabuki dance, and folk forms. Also included are presentations on history, religion, and various social factors that shaped the particular dance forms of Japan. Through the learning of dance technique in a new cultural context, students are expected to reflect on the meanings of their own culture and art forms. It is hoped that this educational experience will be a source of inspiration in their creative life. Basic movements and techniques of classical Japanese dance. Instruction on selected dances of Kabuki, Noh, folkloric, and Okinawan dance. The relationship between Japanese dance and drama forms, Noh and Kabuki. Influence of other dance forms and cultures (China, Korea, the West) on the development of Japanese dance. The relationship between religion and dance in Japanese society. The movement and stylistic differences between the dance forms of Eastern and Western societies as indices of cultural persities. Teachers and All levels of students from elementary through college. Recommended for social studies, performing arts, humanities, and fine arts classes. College majors in Asian Studies, Dance, or Performance Studies. General public, continuing education, or community outreach programs. Members/general public through museum outreach and educational programs. Full performance including lecture – demonstration. Lectures using video tapes and slides.